The popular Shield Tower Crystal Award Trophies are elegant and beautiful. The shield tower comes in three sizes with the etching on the top slanted face. 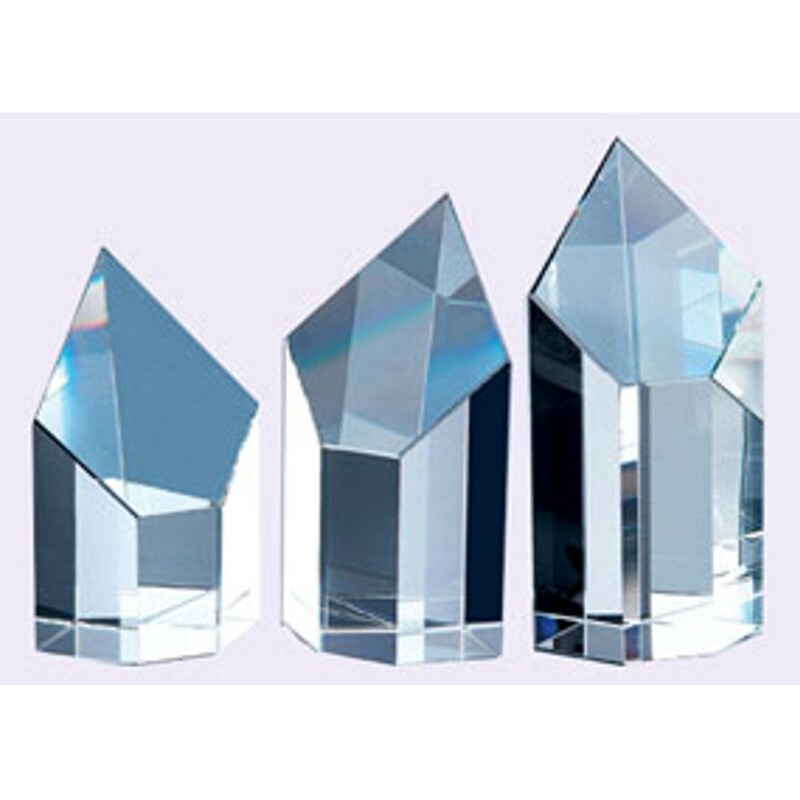 Recognize the accomplishments of a special person with these unique crystal award trophies. Small: 6", Medium: 7", Large: 8"
Small: 4.75"x 3.75", Medium: 4.75"x 3.75" Large: 4.75"x3.75"